Quick Lock ruggedized connector, operating in the range DC-12 GHz. Proposed in 2005 to replace SMA in aerospace applications, QRE allow high density waterproof panel interconnections. The high retention force of the Quick Lock coupling mechanism is ideal for severe vibration environment. 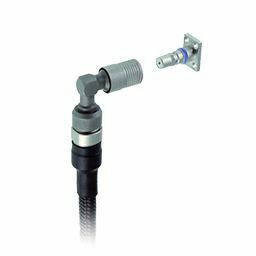 QRE is a Quick Lock Ruggedized connector. QRE was developped to provide the same advantages QMA has over SMA and more for aerospace and defense applications.